Union Point Apartments in Tulsa, Oklahoma is where your home fulfills every desire for ultimate comfort and endless convenience. We offer one and two bedroom apartments in a variety of three different floor plans. Our location is amidst several conveniences such as restaurants, shopping, and entertainment. You will soon discover we take absolute pride in our well-kept apartment community. In your individual apartment home, you will find all the pleasures of home. 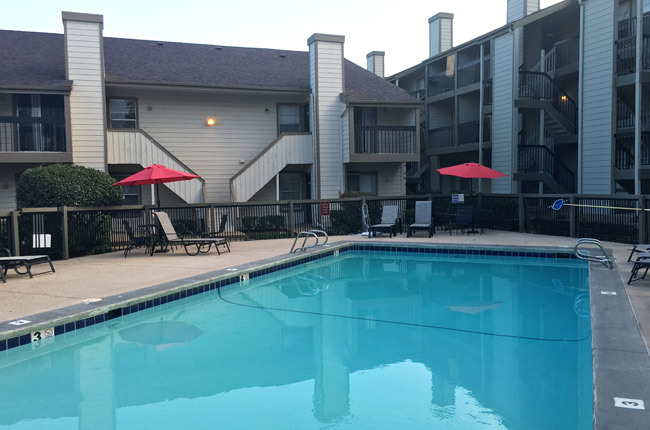 Our apartment community amenities will also impress: take complete with sparkling swimming pool, on-site courtesy patrol, and 24-hour laundry facility. Call and book an appointment with one of our leasing agents today, and see what's available to you once you come home to Union Point Apartments. Union Point Apartments boasts a centralized location near the intersection of 129th Avenue and E 41st Street so you are close to all the action while still enjoying the serenity of small city life. ITT Technical Institute's Tulsa campus is only mere minutes away for any student-on-the-go. We are also among an array of eateries from chain restaurants such as Applebee's to local favorites like Korean Garden Kitchen. Looking to commute to work or even escape Tulsa for the weekend? We offer easy accessibility to I-44 as well as Highways 51 and 6, making any commute or last minute getaway a snap!